This entry was posted in Uncategorized on August 5, 2016 by tstoeckl. 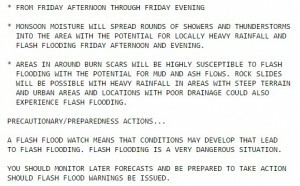 UPDATE: The Flash Flood Watch has been updated with respect to the time frame, and is now in effect from 4:00pm to midnight today. 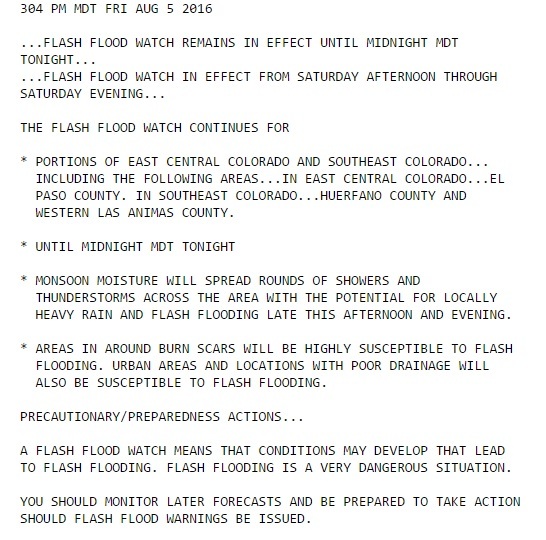 A Flash Flood Watch has been issued for El Paso county, including our UCCS campus, from 12:00pm to midnight on Friday, August, 5, 2016. 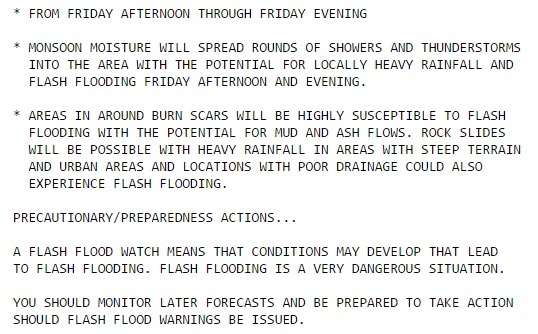 A Flash Flood Watch means that conditions are favorable for flash flooding to occur. This entry was posted in Uncategorized on August 4, 2016 by tstoeckl.